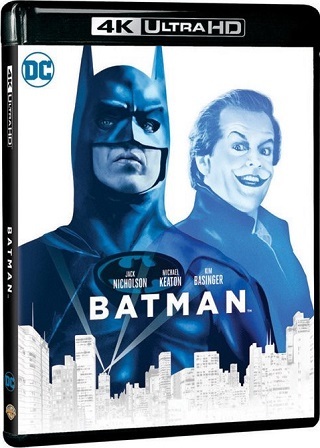 Warner today has officially announced plans to bring the Tim Burton and Joel Schumacher directed original four live-action Batman films to 4K UHD Blu-ray on June 4th. 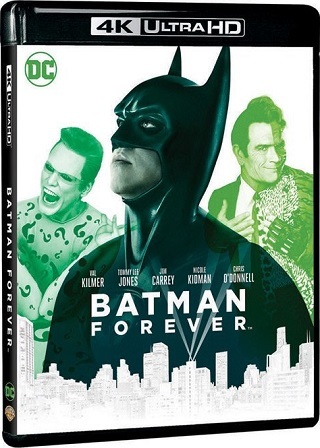 These films include “Batman“ (1989), “Batman Returns“ (1992), “Batman Forever“ (1995), and “Batman & Robin“ (1997). 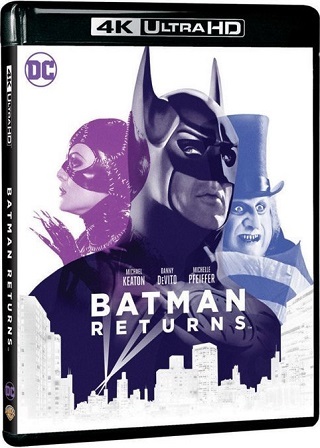 The films will first get individual releases and then be released in a box set called “Batman Anthology” on 4K a tad bit later in the year (9/17). 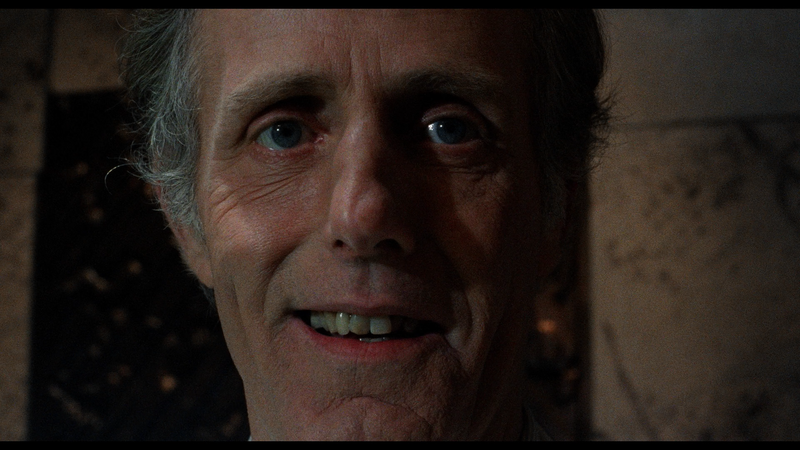 All four films are said to have been restored after they received new 4K scans of the original camera negatives. Tech specs for the releases will include 2160p video with HDR10 form of High Dynamic Range and Dolby Atmos sound for each film. No further details have yet been announced regarding the releases. They will each include newly remastered versions of the films on Blu-ray Disc and digital copies – likely compatible with Movies Anywhere. 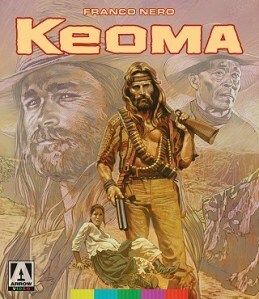 The bonus materials will be the same as previously included on Blu-ray for each film. UPDATE / PRE-ORDERS: You can pre-order the films over at Amazon. Just click on the titles of the films above for links. Best Buy now has these also for pre-order. They only seem to work if you click the yellow “Pre-order” button beside each and will add to your cart. Their individual pages, however, will not load yet – at Best Buy. 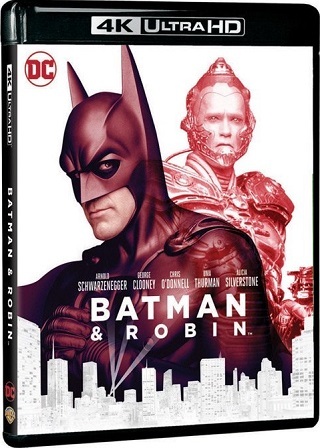 You can find the Batman Anthology box set already available to pre-order over at Warner’s WBShop. WBShop also has each film available to pre-order and here are the individual links: Batman / Batman Returns / Batman Forever / Batman & Robin. Lastly, the retailer Barnes & Noble has the box set and all four films available to pre-order as well. 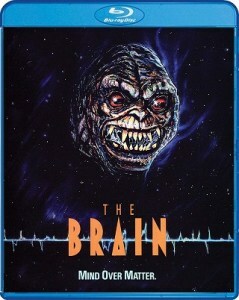 EDITOR NOTE: Lastly, it’s a true shame the cover art for these films is this boring. Fans are not liking it one bit on social media and perhaps Warner should have considered just using the original poster art instead.